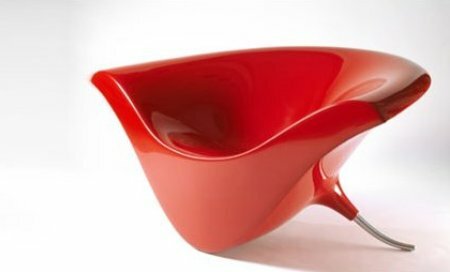 The Smile Chair, so called for obvious reasons, does at first glance appear as though it may reasonably topple over the minute you sat on it, until you are informed that it has three points of balance and that it was “designed to give the perception of it floating, elevating the sitter off the ground.” Made from Glass reinforced plastic, there are many color options for someone looking for an interesting conversation starter or a point in their living room. 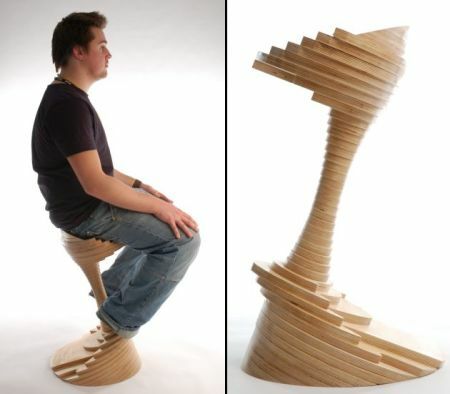 The LumBar Stool by James Douglas is inspired by “alien landscapes of weather eroded rock formations” (think coastline rock formations formed by forces of denudation like wind and water), which typically have the lower portions more denuded and appear top heavy and precariously perched. Using plywood as the obvious choice when so many layers upon layers are used to construct the stool, ‘mushroom’ topography effect is achieved to give contour and resemble the layered sediment look aimed for. 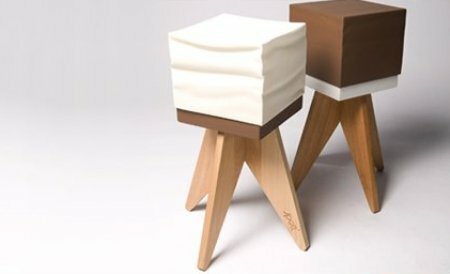 The stool is made by the designer using “38 1? layers of CNC cut ply board stacked on top of one another connected by one single 12mm steel bar located down the centre of the stool, which is simply tightened up by a nut and bolt system. Creating 1 solid and safe form to be used for seating.” Certainly the ‘lum’ bar stool with a difference. Suzie Stanford’s British themed tea towel furniture is a new innovation which results in an almost blindingly bright final product and which would be an amusing enough counter point even in an otherwise sedate living room area. 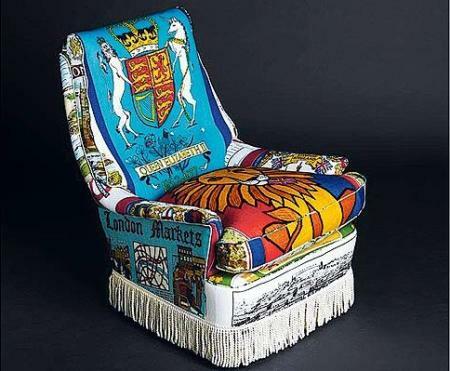 Earlier the Melbourne based designer was inspired to create furniture upholstered in vintage Australian-themed tea towels and apparently now it is the turn of Queen Elizabeth and the symbol of the City of Westminster that makes for a rather eccentric looking chair in the end. 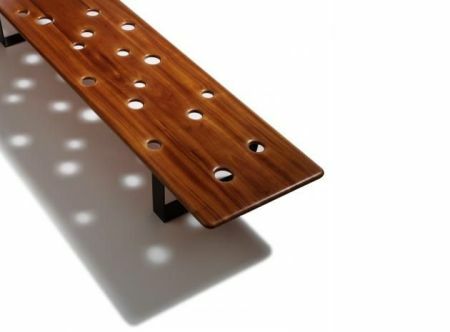 while the Fizz bench by Cameron Van Dyke does not immediately appear anything like a stylistic marvel, it is the solid mahogany top, steel legs, and a curious pattern of various sized holes, that together aim to create an interesting light pattern below. The Tennis Ball Bench may be something that you wonder how you will sit on, but then it is not a product developed for commercial sale. Rather it is limited edition item designed for the Digital Depot of the Museum Boijmans van Beuningen in Rotterdam, by designers Tejo Remy and René Veenhuizen. 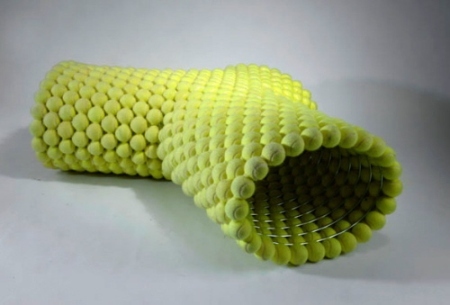 The bench is made from chrome-plated steel rods and, yes you guessed it, tennis balls. Reportedly, the bench was offered at auction in Munich and was estimated to sell for 4000 Euros. The first thing we thought when we saw the Sweet Stool is that looks delish! Inspired by the process of ice cream making, if ever you wanted a ‘tasty’ addition to your living space then these adorable little three legged creatures may be just the thing. 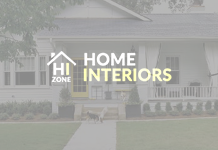 Previous articleHow To Completely Change The Look Of Your House With Just A Small Bit Of Paint?